Last month we wrote a blog post called “The 3 Things You Need to Know About Joomla 3”. What is great about Joomla 3? Mobile. 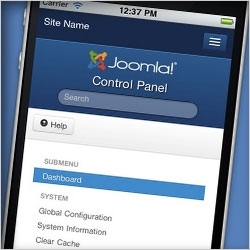 Joomla 3 will be the first major Content Management System to be completely mobile-ready. With yesterday’s announcement of our new social networking service, JomSocial Hosted, we have promised you to release 2013 Development Timeline. This timeline, we hoped would help you understand and be prepared with our 2013 course of action. Thanks to Pizza, Bugs and Fun Participants! No more Zend Framework, yay! The next iteration of JomSocial will finally do away with Zend Framework. A while ago, we decided to "supplement" our underlying development framework with an extensive, well supported php framework to speed up development process. Joomla! at that time, have not yet launch their Joomla-Platform initiative.